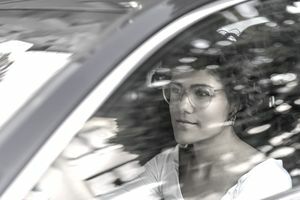 You spotted a great deal for a hot new car insurance startup with incredible insurance options while watching your favorite television show. Or perhaps you remembered that 15 minutes could save you 15% or more, did some online rate shopping, and found yourself with an enticing new car insurance policy offer. Or maybe you’re moving to a new state and you’re currently insured by a great but small and hyper-local car insurance agency in your current state. Maybe you’ve recently become an empty-nester and are downsizing from owning two large luxury SUVs to owning one adorable energy-efficient two-door sedan. There are all sorts of reasons to change your auto insurance. Maybe you've bought a new car or truck and need to add it to your current policy. Maybe your overall personal finances have improved and your assets increased significantly, and you want to protect them better with more coverage. It is also quite possible that you've simply found a better deal with a different carrier and want to make the switch. Whatever the specific reason, changing your car insurance always boils down one of two things: a change in your particular life circumstances or the desire to save money. So, you've come to the conclusion that you need to change your coverage -- now you just have to figure out how. If you are at the end of your policy period, no problem. Just make your changes with the next contract. But what if you are in the middle of a policy period? Modifying a vehicle that changes its value. Fortunately, changing your coverage mid-policy is almost never a problem. Carriers understand that their client's insurance needs can change overnight and that those changes rarely coincide with the precise moment when one policy period ends and another starts up. Insurers want to keep your business, so they go out of their way to make the process of changing your coverage as simple as possible. Typically, just a quick phone call to your carrier or a visit to its website is all it takes. There are, however, a few instances when you will have to cancel your current policy and start clean with a new one. In a few cases, moving from one state to another will necessitate the writing of a whole new policy even if you remain with the same carrier. If you have any questions regarding how changes will affect your policy, be sure to call your agent, the sooner the better. Sometimes relocating to a new state will mean more than changing the terms of your policy or writing an entirely new one with your current insurer. It's possible that your carrier doesn't write policies in your new state of residence. If so, then you will have no choice but to seek out a new insurer. But the biggest reason by far which cause people to switch insurers mid-policy is money. They've simply found a cheaper option and they don't want to wait until the end of their policy term to take advantage of it. Switching insurers mid-policy is actually a relatively routine occurrence and usually not too difficult to do, although it may be a little trickier than just making changes to an existing policy. Check the language of your current policy and you will find a provision for cancellation. It will likely allow you to cancel your policy in full at any and will set out the terms for the return of any unused portion of your premium. You may, however, be charged an early cancellation penalty, especially if you decide to cancel early in the policy period. Be sure to weigh any cancellation penalty against the savings you are expecting under a new carrier. It may be to your financial benefit to until your current policy ends or until the penalty is no longer in effect. Another difference between leaving a policy mid-term and making a coverage change is that you will need to do it in writing. A simple phone call will not suffice. And remember, if you do cancel and you are owed some money back on your premium, it may take some time before the refund check shows up in your mailbox. If you decide to switch policies, remember to have your new policy in place and covering your vehicle before dumping the old one. In many states, you will be fined if you go without insurance coverage for even a day. Plus, if your luck is like mine, that day without coverage will be the one day you'll really need it. One more thing: coverage will inevitably be slightly different from one carrier to another. It really does not matter how closely you try to match policies. Be sure that you clearly understand those differences before switching, or you might eventually run into a claim situation that eats up every bit of the savings they were intending to pocket.